Finding and identifying tracks and sign of an animal's passing is only part of the ultimate goal for serious trackers, hunters, and outdoorspeople. They want to follow the trail to reach the animal in question. This detailed guide teaches them how. 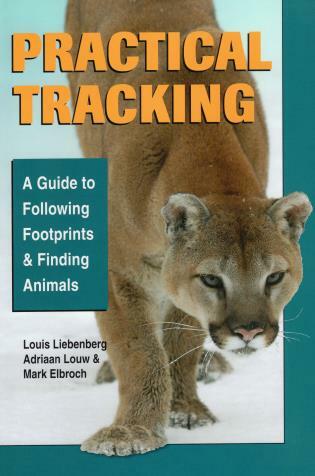 Written by a trio of master trackers, it covers what to look for to discern an animal's pathway, what information tracks and sign convey, how to move through the wilderness to get in sight of the quarry, how to avoid dangerous encounters, and more. NOBA award-winning author Mark Elbroch has contributed to numerous research projects in North America, including the capturing and collaring of cougars and Glacier National Park's bear sign survey. He lives in Vermont. Louis Liebenberg is managing director of CyberTracker Conservation, an associate at Harvard University, and author of The Art of Tracking and Field Guide to the Animal Tracks of South Africa. Adriaan Louw is a leading trainer of ecotourism guides in South Africa, past chairperson of the Field Guides Association of Southern Africa, and professional member of the International Society of Professional Trackers.